I have a site I’ve built on a hosted magento server. As I have a live site on another platform I purchased a new test domain name to build my site on. Now I want to decommission my old site and transfer my new magento site to my original domain name. Is this possible and if so how do I go about it. Hey @GiftedFox, I hope you’re doing well. Is this post of any use to you (reference domains)? Also, I’m currently writing a tutorial on Magento Migration if that’s of any use. I’m hoping to have the video ready for tomorrow evening. I was supposed to have it up last week, but one thing lead to another and I ran out of time. Aiming for it to be up this week. Just gone through your video. What version of Magento are you attempting to migrate? So, on a Hosted Server each “environment” can be individually configured (up to a point). 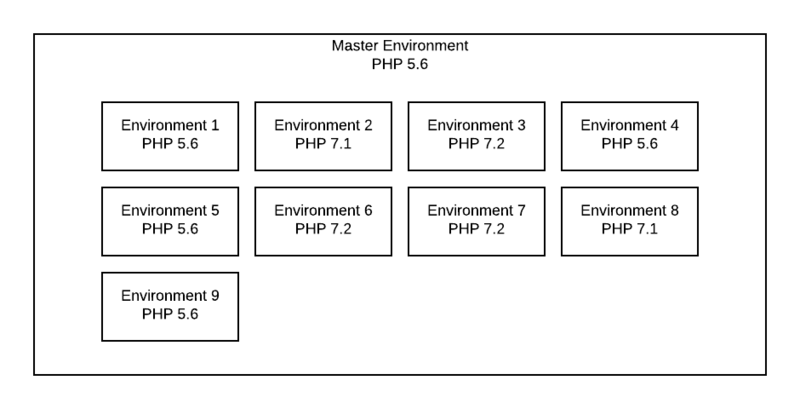 What you can do is have a “master” PHP version installed on the Server, whilst running other versions in their own environments for each customer. Therefore, when you run php -v on the Server the output doesn’t always represent the version of your particular environment. I guess your PHP version is configured by either the Web Host or via your cPanel settings, so you’ll have to refer to their documentation. To check the specifics of your actual environment, the best trick is to create a phpinfo.php file (as mention here). Just pop it in your working directory and load it in a browser. The results will be specific to that installation directory. Anyway, when you work out how to configure your specific environment then that should solve your problem. I’ve been on the host company and they have fixed the issue and the website now loads. The requested URL /personalise-ceramic-mug-glitter-cartoonme-6.html was not found on this server. **Replace en_GB and en_US in Step 3 with your appropriate languages. Any one of those steps might solve your issue, but you may as well run them all in order just to cover your bases. One thing that I never covered in the Tutorial is setting up Cron Tasks on the new server that you migrate to. Run this as well. I’ve updated the supporting post. ran all those commands but still getting the error. When I go to the original site the homepage loads and when I click on a link I get the same error but I noticed that the URL reverts to the new domain. Are you moving sites or creating a development environment (copy)? If you’re just creating a copy then your original site should be be effect because you’ve not done anything to it. Did you update the 2 values of the Database in copied version after migrating it? Did you definitely add the “/” at the end of the URL when you changed it in the database? Yes I changed the 2 base URL’s to the new domain name. I did manage to get in to admin panel briefly and the base URL’s in there were still the old test one’s but I’ve checked the database and it definitely says the new. Designed a website using WWW.thegiftedfoxtest.co.uk on a hosted server following your brilliant tutorial. I already had a live website on WWW.thegiftedfox.co.uk. I then copied the entire contents of public_html from the test domain to the live domain. Then exported the database from the test domain and imported it in to the new domain. and changed the base URL’s in the new database. Also added database credentials to app/etc/env.php. The name servers were changed in GoDaddy for the domain www.thegiftedfox.co.uk to use the new site. Ok, gotcha. I’m just looking at the site now… I’ve seen this before! Do you have mod rewrite enabled on this server environment? You would normally set this by running sudo a2enmod rewrite but you might have to get your Web Host to set this as your in a Shared Environment and probably don’t have the premissions. What directory do I need to be in to run this command. It’s a server command, so any. You just need to have superuser or root privileges on the user that you execute the command as. I’m logged in as root. Your colour scheme is also really easy on the eye! Product specifications should stand out more (e.g. dimensions). Whether you put them in their own paragraph or make them bold, it just makes it easier to scan for that type of stuff. Displaying Delivery/Returns links somewhere “above the fold” on product pages. I’ve found this to increase consumer confidence when shopping on sites they’re never been on before.